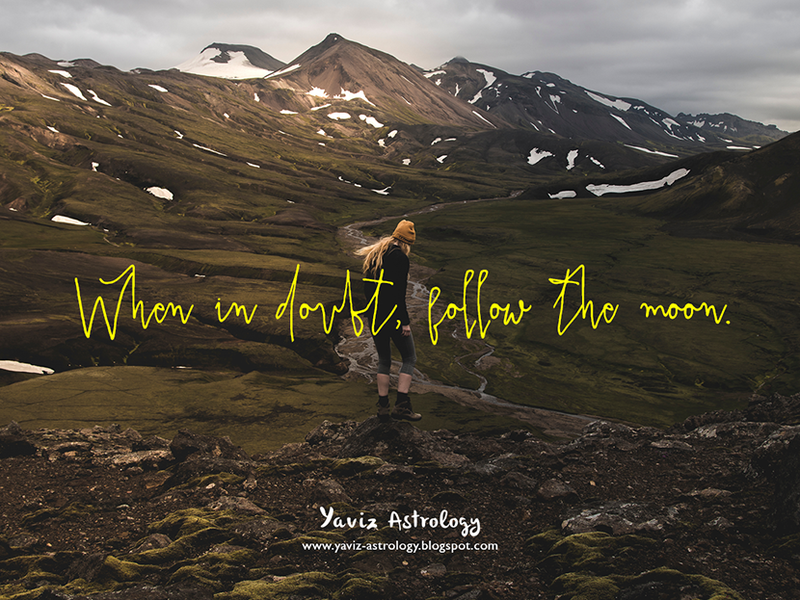 When in doubt, follow the moon. When too soon is better than too late. When too much passion is better than too little persistence. Where do we draw the line between doing too much and doing too little? Is moving too fast really is better than moving too slow? The short answer to that question would be sometimes. The next question we should ask ourselves would be whether or not we truly value our time or time in general. Valuing time doesn't mean that we should try to achieve as many things as possible as soon as possible. Valuing time means having a clear perception of time and what it means to use our time wisely. We may not know what will happen in the future, but we always know what we can do in the present. Sometimes jumping the gun or making a snap decision can be more beneficial in the long run than it is to postpone making a decision. Jumping the gun may not always get us to where we want to be. But it can also give us the opportunity to change direction to a path more in alignment with our soul — sooner rather than later. as many things as possible as soon as possible. At the end of the day, this is about taking that next step, which leads to the next and the next. This is about taking action, knowing that we are on a uniquely personal and individual journey where our soul grows with each step that we take. This is about moving forward, understanding that without action, we can't move through resistance and rise above obstacles. Today, find the courage to go within, and discover what's buried deep in our soul. Do not let the ego persuade us to dig for things that are not even there. Instead, let the heart guide us to where we truly want to be. Go forward with audacity of hope in our hearts and courage in our souls. Remembering that we are not our mistakes. We are in truth our lessons. Our learning. Our understanding. which leads to the next and the next. Happy New Moon! The Moon is joining Venus Rx, the Sun, Uranus and Mercury in Aries, marking an extra revitalizing and awakening New Moon in the sign of the Ram. Regardless of all the confusion because of too many things happening at the same time, we can find the strength to pull through. Regardless of all the uncertainty because of too many things changing at a more rapid rate, we can stand up tall and see beyond the horizon. New Moons are fresh starts. A New Moon in Aries (aka the first sign of the zodiac and ruling the 1st House of the Self), signifies a brand new start on ourselves. Where do we feel we went wrong? Where do we feel we can change for the better because we know better? This is not to blame the past or things we did, but to learn from a place of higher awareness and love. To grow beyond old limiting beliefs and move forward with new determination and understanding of the self. As we begin following our inner guidance, we will understand why we ignored the signals in the past. The signal to listen to our inner knowing. The signal to stay true to our highest ideals. The signal to get out of our own way and go forward with fervor. change for the better because we know better? The Aries Moon is forming a square to Pluto and an opposition to Jupiter Rx, and this is not the time to fear change. Sometimes it takes an extreme wake-up call before we are pushed to change and open a new page in our lives. Yet, we shouldn't wait to hit rock bottom before we are convinced that we need to change because there are things we will regret not doing sooner. By listening more to our inner knowing, we will increasingly dislike lies we tell ourselves. By staying true to our highest ideals, we will become more committed to our self-care and release self-sabotaging patterns. we will regret not doing sooner. With the Moon and Mercury forming a trine to Saturn, the ability to reason and strategize becomes front and center. Take things at face value and follow the logical path for in this moment there is no deeper meaning than what is obvious. We have the sensitivity to focus on steps we need to take next to reclaim our power and reinflame our lives. A New Moon in Aries is that much-needed chance for regeneration. This is our time to revive opportunities we thought were dead. No matter what lost has occurred in the past, we can be reborn all the time and recreate a new present. Endings may come in many forms, but now is our chance to let whatever isn't working in our life die and to recognize the dawn of our renewed spirit.